The self-storage industry involves renting storage units to short-term renters most typically on a month-to-month basis. If you need to line up a loan for building storage units, Assets America® would love to be your financial partner on self-storage projects with minimum loans amounts starting at $5 million. The storage units may contain rooms, containers, lockers and outdoor spaces of various sizes and configurations. We can arrange storage facility financing when you need to be building storage units, as well as rehabbing or refinancing them. Storage facilities are found virtually everywhere in the U.S. They provide a valuable amenity because they allow individuals and businesses to store items that, for whatever reason, are unable to be stored or accommodated elsewhere. Storage facilities often provide extra services, such as truck rentals and sales of moving and packing items. Some storage facilities sell property insurance on the items stored there, which is useful if the items aren’t covered by some other form of insurance. The growing market for self storage means that you are increasingly likely to see the building of storage units in your neighborhood sooner rather than later. The United States is the main player in the self-storage industry, where the industry is estimated to be worth $38 billion. There are approximately 50,000 storage unit facilities throughout the U.S offering more than 2.3 billion square feet of self-storage space. About 18% of the industry is owned by the top five players, U-Haul and four (4) REITs (real estate investment trusts). This fact illustrates that there are numerous small, independent self-storage operations throughout the country building storage units. At any given time, about 10% of American households rent commercial storage units. Life events such as moving, divorce and even death often trigger the need for temporary and long-term storage. 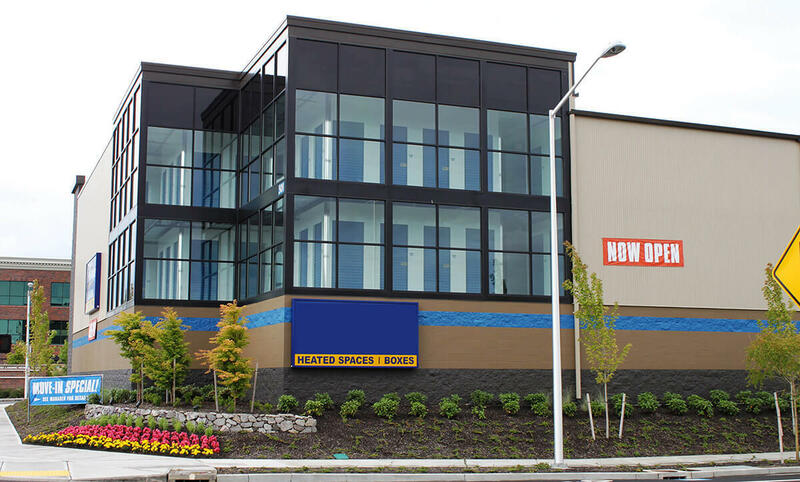 It’s no wonder that more and more folks are building storage units as additional players enter the self-storage business. Competition among self-storage units is greatest in metropolitan areas, where available, properly zoned land is at a premium. Many units are manufactured modular buildings that are easy and relatively quick to assemble. For this reason, building storage units has never been easier or more cost-effective. The minimum size of a self-storage facility is usually 40,000 square feet of rentable space, which typically requires two to three acres of land. The best sites are situated at major intersections that are easy to access and near a high, population density in a growing region. Ideally, a self-storage facility would be free of nearby competitors and would also be close to a retail center. Of course, local zoning must permit building storage units in that specific location. Self-storage buildings offer a variety of individual storage rooms. In square feet, the most popular storage room sizes include: 5×10, 10×10, 10×20, 10×30, 15×20 and 20×20 (the later of which is approximately the same size as a two-car garage). The units typically have corrugated-metal walls, no windows and can be locked by the renter/tenant. Access to the facility may be secured by clerical staff, security guards, digital gate codes, alarms and security cameras. Individual units might have a conventional lock or perhaps something more high-tech, such as a keypad, card reader, or biometric scanner. Higher-end units provide climate control, around the clock access, and power outlets within individual units. In suburban and rural areas, storage facilities are often single-story allowing vehicles to drive directly adjacent to individual storage units. Urban self-storage facilities are often multi-story and have freight elevators that offer easy access to their interior units. Moving dollies and rolling carts are frequently offered, by the facility’s management, to aid tenants in moving contents in and out of their units. U-Haul combines self-storage with truck rentals and retail sales of moving and packing supplies, including moving blankets, dollies, boxes of all sizes, wrapping paper, tape, bubble wrap, rope, and markers just to name a few. The self storage business attracts investors who are building storage units in search of capital appreciation, cash flow and tax benefits. Appreciation of the commercial storage unit property is most probably assured as the surrounding area gains population density, and as additions to existing facilities are implemented and the effects of real estate inflation take hold. Tax benefits accrue from depreciation and from the possibility of Section 1031 exchanges, in which an investor trades up to a more expensive, higher-end property while postponing income taxes. Depreciation increases cash flow by providing a non-cash tax deduction. Leasing is the primary source of cash flow. Cash flow is the property’s gross rental income minus all operating expenses and mortgage payments. Ways to maximize cash flow include efficiently packaging individual storage units relative to the plot size, and placing the site in a desirable location where traffic counts are high and utility costs are relatively low. Most self-storage customers require one or more months of storage, but as anyone who has ever rented a self storage unit knows, once you move your personal or business items into a storage unit, one tends to leave it there for much longer than one month. Mentally and emotionally it seems easier to move your items in, than to move them out, which is good news for developers, owners and operators of self storage facilities. The cost structure of storage facilities starts with land costs and parcel sizes. A facility of 40,000 square feet requires a land parcel size of 2 to 3 acres. You need 3 to 4 acres for 60,000 square feet and 4 to 5 acres for 80,000 square feet, and so on and so forth. Generally, about 40% of a storage facility’s customer base demands climate-controlled units, a feature that increases rental prices 25% to 60%, but costs only 10 cents per square foot! In other words, climate control has an incredibly high return on investment (ROI). The coverage ratio of a site is the amount of land covered by the storage facility. For example, if you have 6,000 square feet of coverage on an 8,000 square foot lot, your coverage ratio is 75%. Naturally, the higher the ratio, the more revenue you can squeeze out of the storage facility. So bear that in mind before you start building storage units. Cash flows can be increased by developing a multi-story storage facility (see image below), however, it’s best to remember that some storage facility customers want to lease a large unit with direct vehicle access. Per square foot construction costs increase as the structure grows taller, yet another important factor to consider. Efficient use of interior space is a must, and that includes items like room design, construction materials, corridor layout, and so forth. An alternative to self-storage facilities where each customer rents a storage unit is the mail storage facility. This is an on-demand facility where customer materials are maintained and stored in a warehouse rather than in individual storage units. Typically, customers box up their storage items which are then picked up by a shipper and transfered to the mail storage facility. A hybrid is the self-storage box (or bin), in which the facility provides pick-up and drop-off service, but the items are stored in a designated storage unit rather than generalized warehouse space. Sources of self-storage construction loans are banks and private commercial lenders. Additionally, loans can be guaranteed by the appropriate Small Business Administration program. Self-storage construction financing usually starts with a short-term construction loan or bridge loan, often interest-only, for up to 18 months. Loans are available for new construction, expansion and rehabilitation. Borrowers typically put in equity equal to 20% to 25% of the property value, and the loans are typically recourse, meaning the borrower is personally guaranteeing proper and timely loan payments, though with really good credit and other positive compensating factors, non-recourse loans are available as well. Once the construction phase is complete, the construction or bridge loan is paid off with a medium-term loan (mini-perm loan) or long-term loan (takeout loan). Mini-perm loans typically have terms of 2 to 3 years, and are ultimately “taken out” by permanent financing (take out loans) – mortgages with terms of 5 years or greater. In addition to providing loans for building storage units and refinancing those loans, Assets America® can provide you with an acquisition loan to purchase an existing self-storage unit. We can also work with the SBA to obtain an affordable acquisition loan with only 5% to 10% down. If you are thinking about building storage units, think Assets America®. Turn to us when financing a storage facility with a minimum loan amount of $5 million. Our self-storage construction loans offer great terms, and we can follow up with low-cost mini-perm and takeout loans. The cost to build storage units of high quality and size is not insubstantial, but we are happy to work with any ambitious self storage builder looking to invest in the business of self storage. 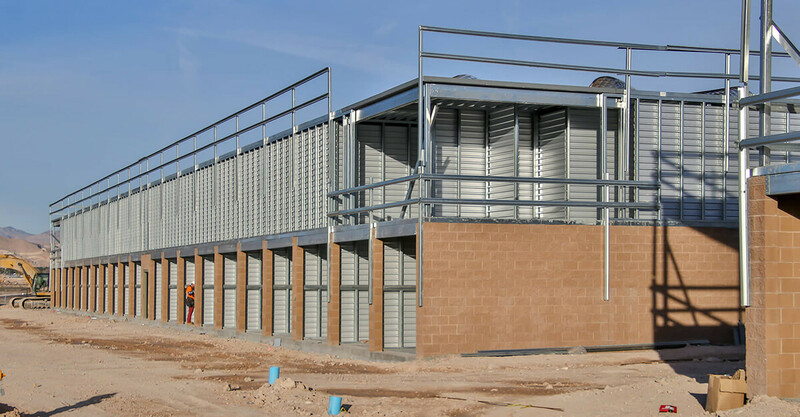 Remember, building storage units can be a lucrative business if you can obtain a favorable self storage construction loan that protects your overall storage facility investment. Self storage buildings housing commercial storage units are a great way to participate in the growing storage industry. Cap Rate The capitalization rate, often just called the cap rate, is the ratio of Net Operating Income (NOI) to property asset value. For example, if a property was listed for $1,000,000 and generated an NOI of $100,000, then the cap rate would be $100,000/$1,000,000, or 10%. Long Term Storage The typical duration marker for long-term storage is 12 months. Phasing Self-storage phasing is a planning method that allows for a flexible unit mix over time; in other words, owners are able to tweak the breakout of storage units to suit temporary needs. If you’re looking for storage facilities for sale, check out Crexi, LoopNet, Gumtree, or List Self Storage. Each of these websites list between dozens and hundreds of storage units for sale. Concerning legislation for the proper use of storage units, including your rights and responsibilities as an owner of a self-storage unit, policy differs across state lines. However, this article from StorEdge contains a helpful infographic on How Each State Fares with Storage Unit Legislation. As an owner of self storage buildings, you may also want to check out the non-profit national Self Storage Association. For a clearer idea of how much money can be made operating a storage building facility, read the article What Is the Profit Margin of a Storage Facility? Don’t miss out on this exciting opportunity – contact Assets America® today and we’ll have you building storage units before you know it! Call us today at (206) 622-3000! We look forward to hearing from you.